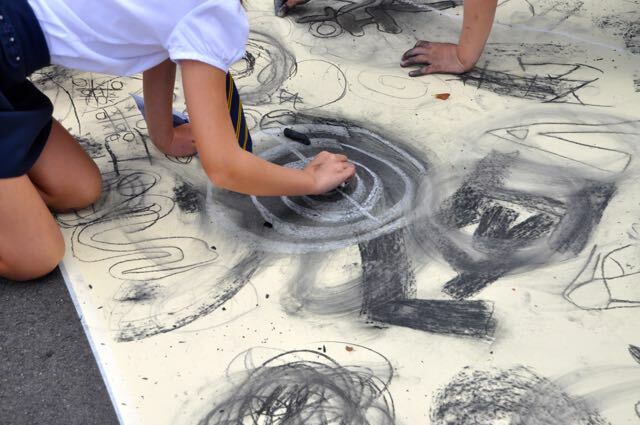 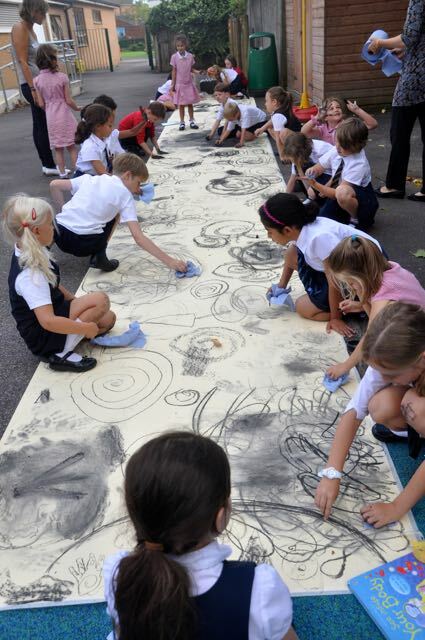 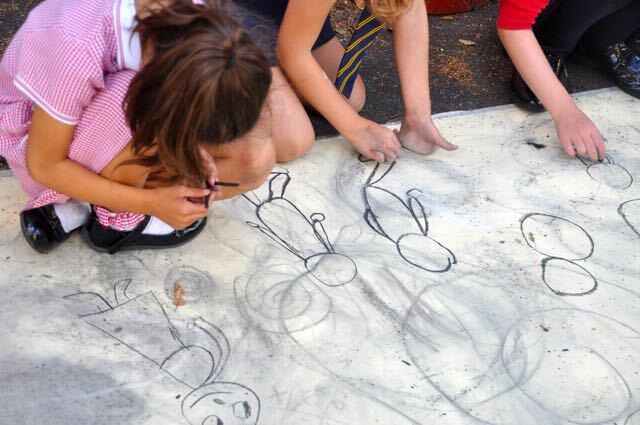 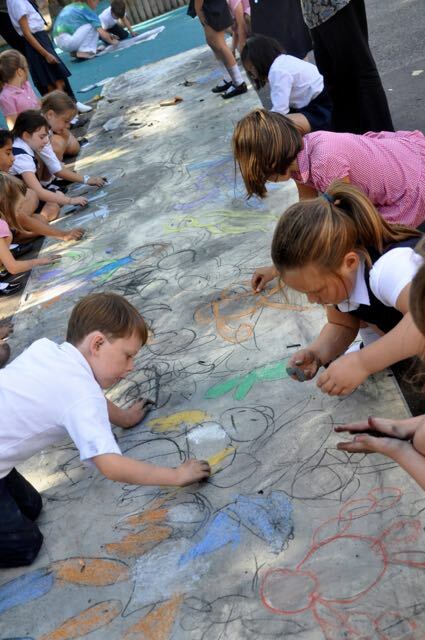 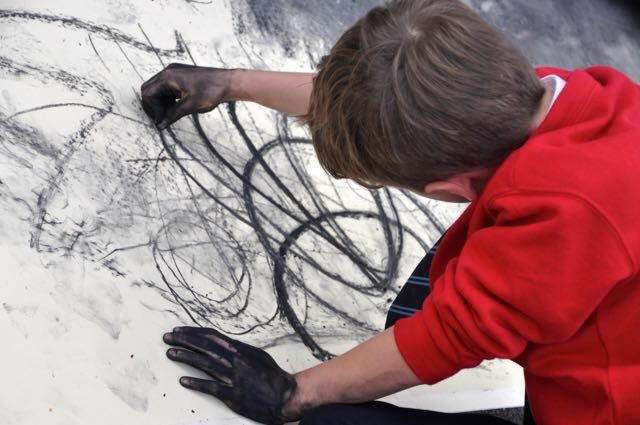 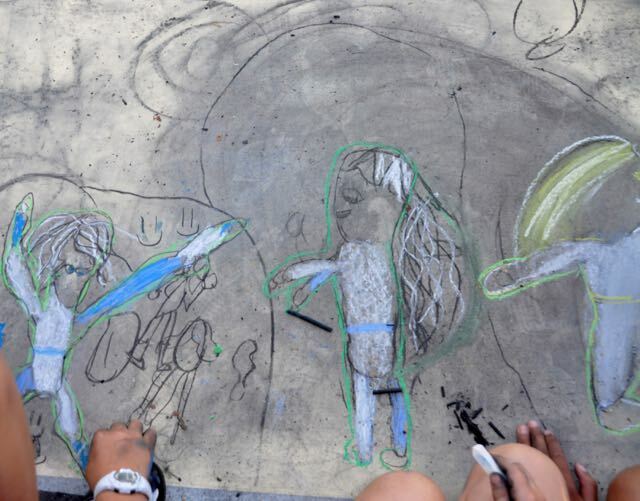 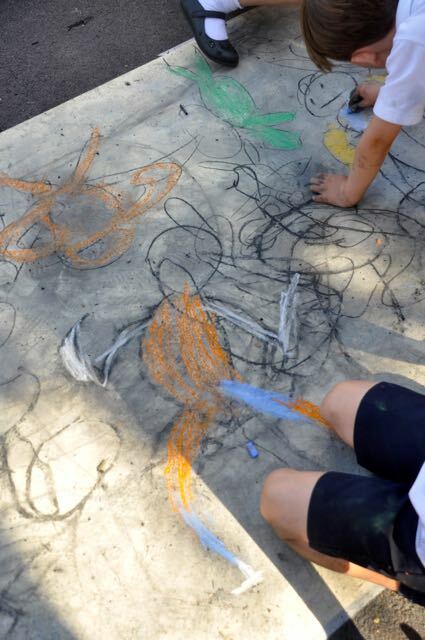 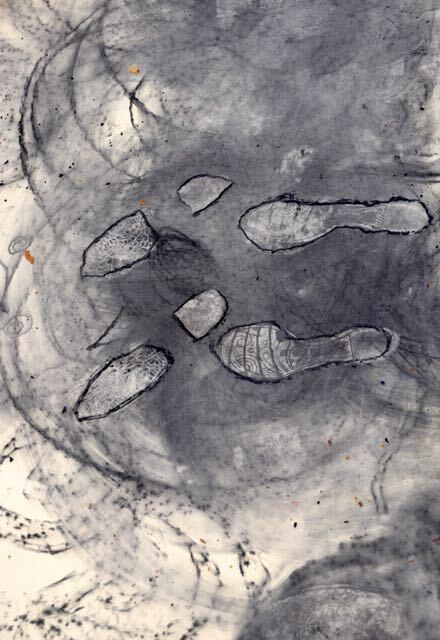 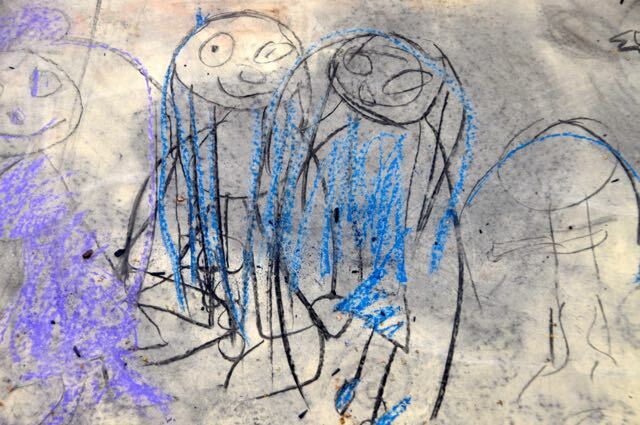 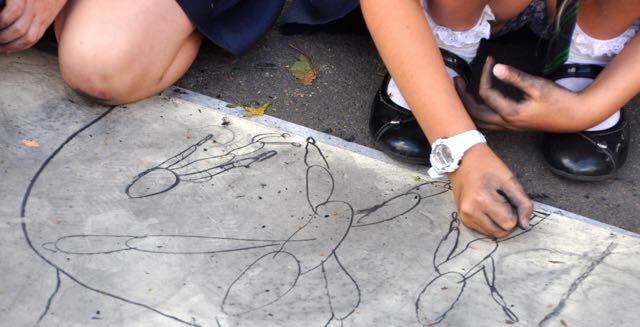 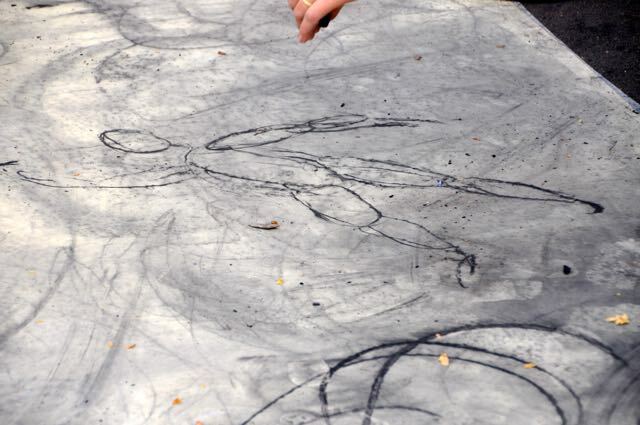 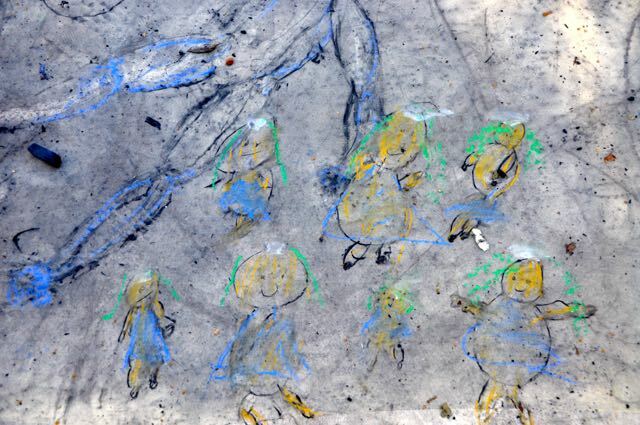 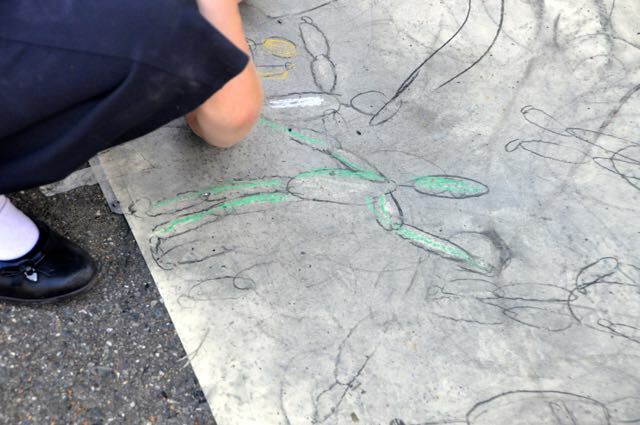 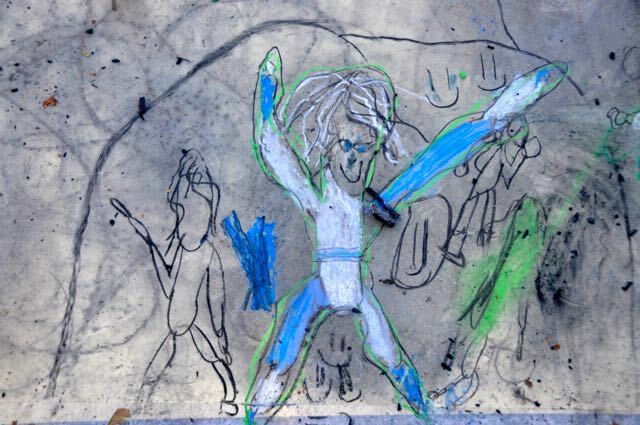 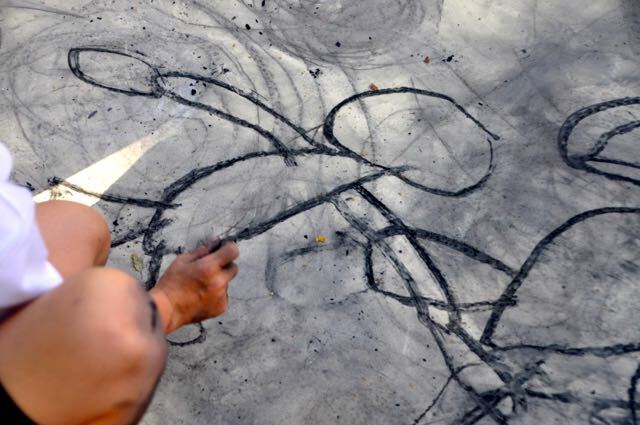 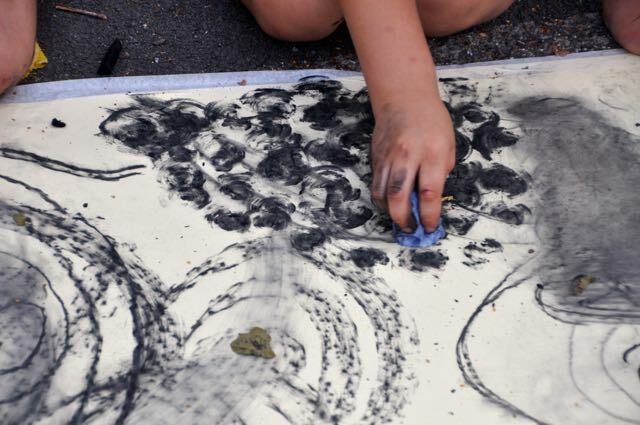 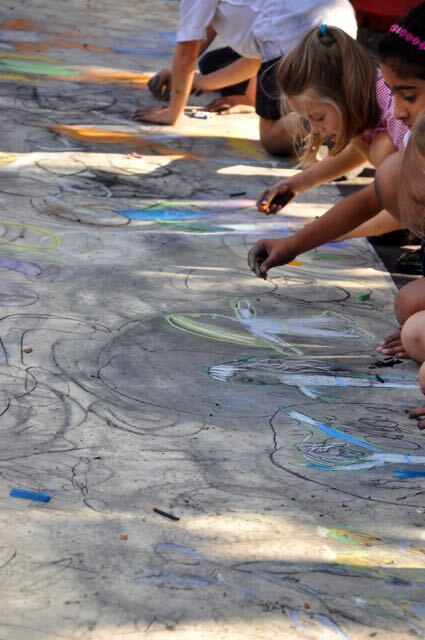 After warming up the children worked on a large roll of paper to experiment with mark making using chalk and charcoal. 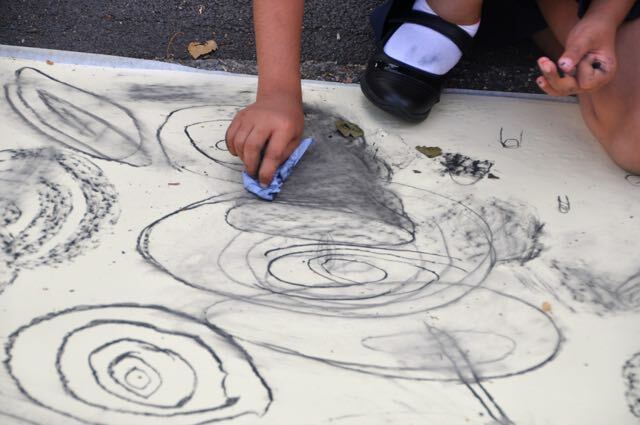 We used tissue to rub into our work to keep layering the marks whilst adding shading and texture. 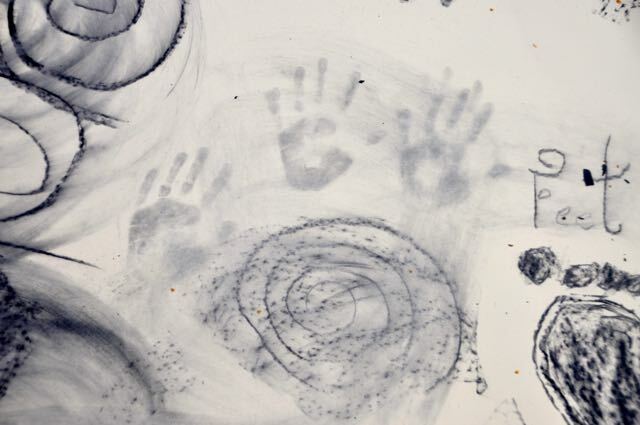 Hand and footprints added interesting effects. 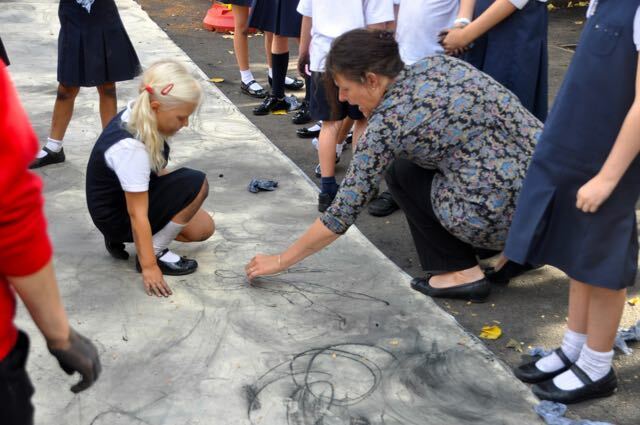 Veena then demonstrated to the children how to draw a figure using a series of ovals. 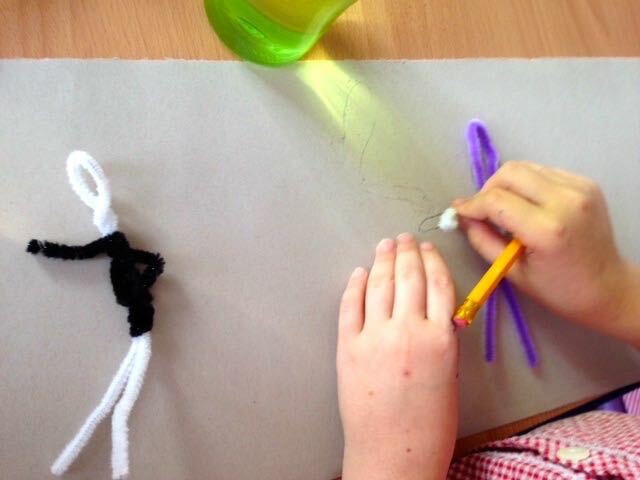 We were very absorbed in what we were doing. 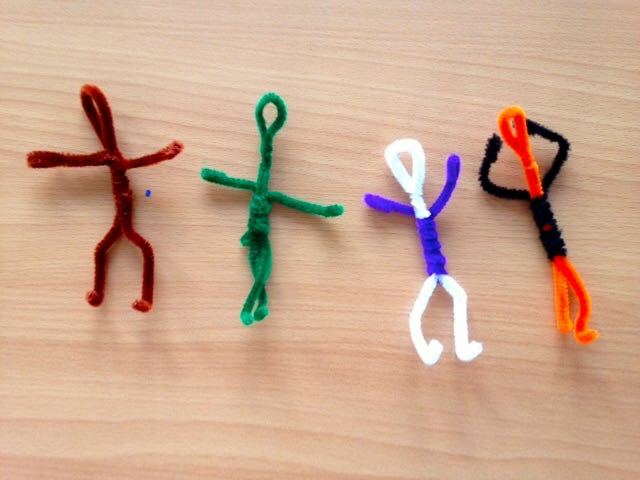 The following week we experimented with pipe cleaners to model different poses. 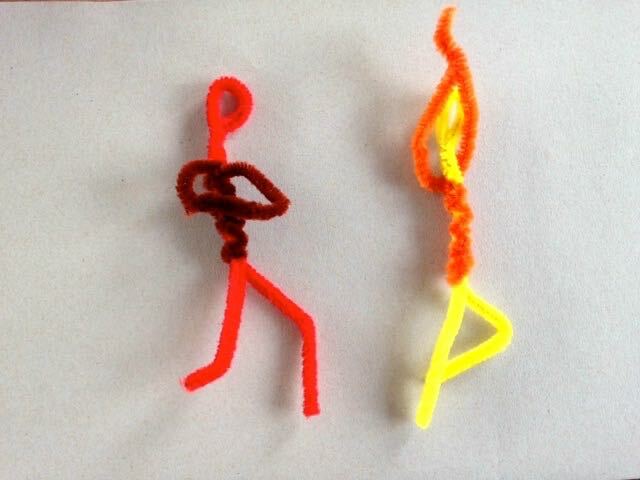 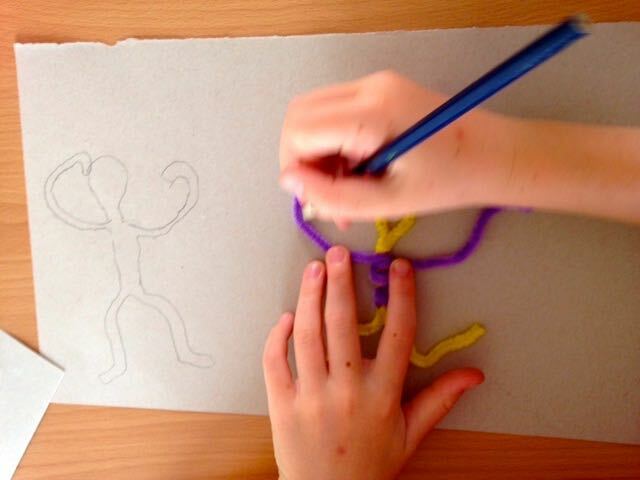 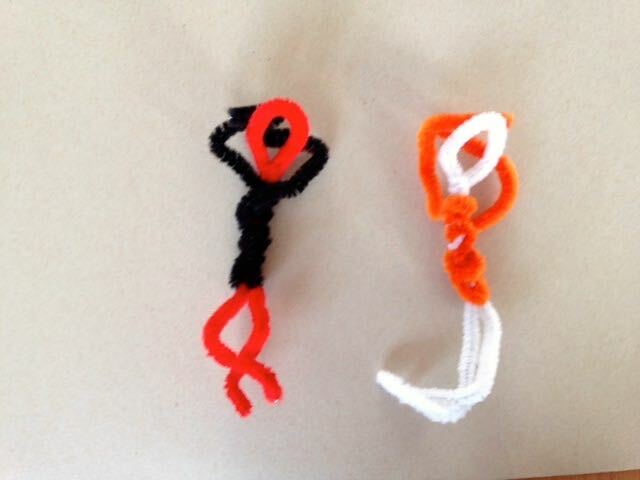 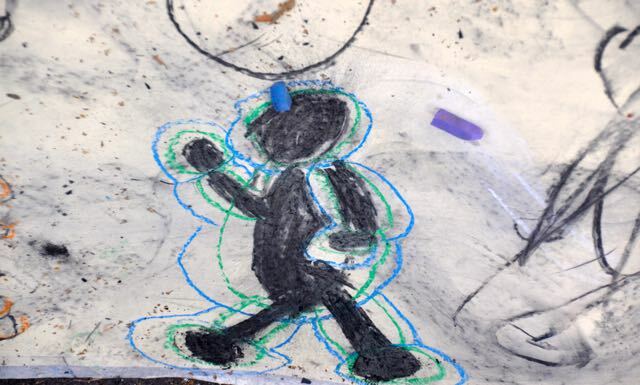 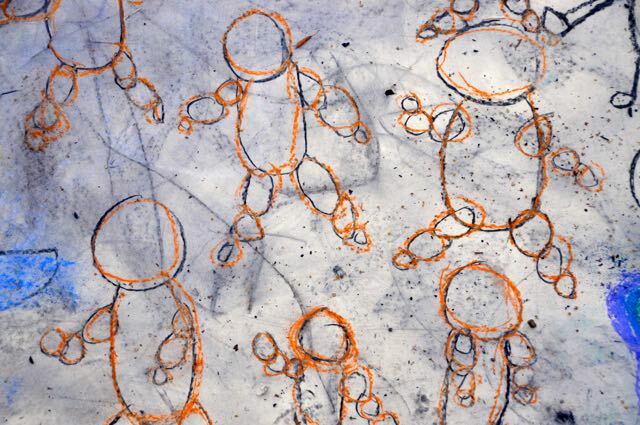 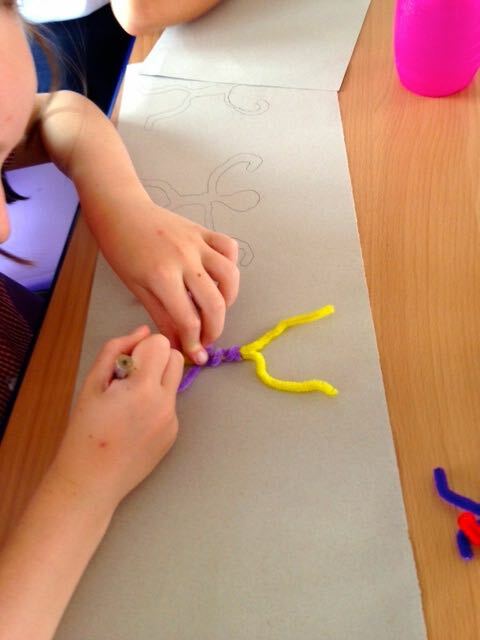 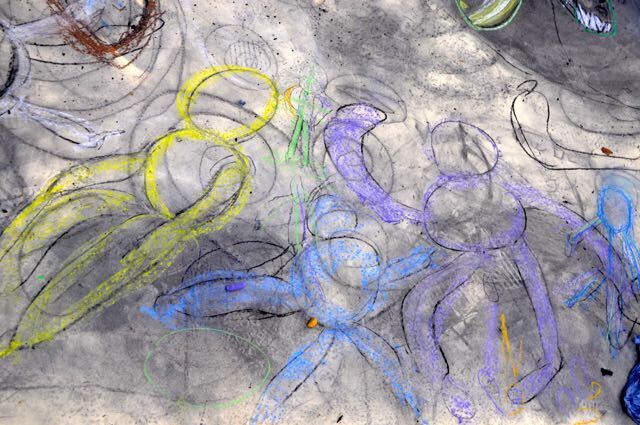 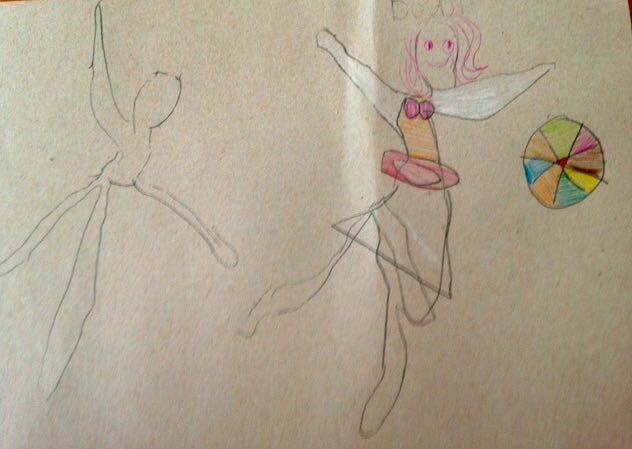 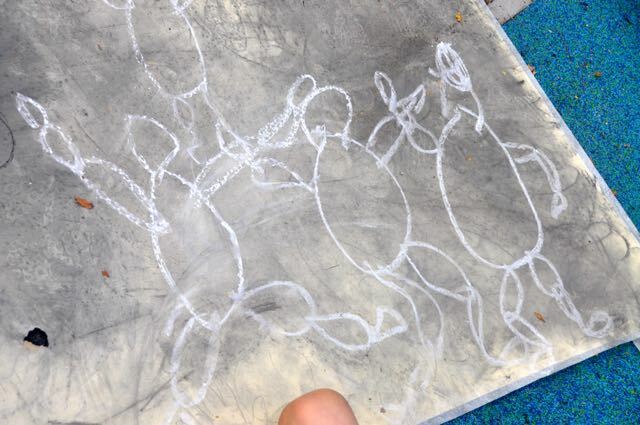 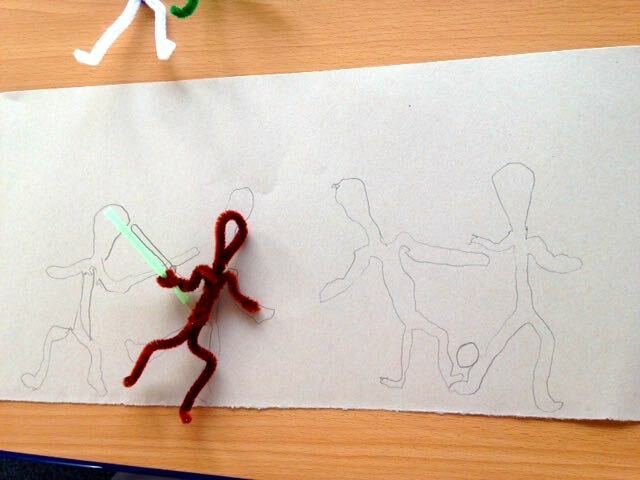 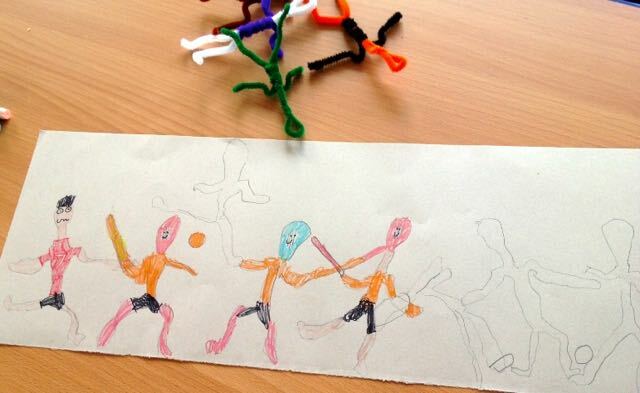 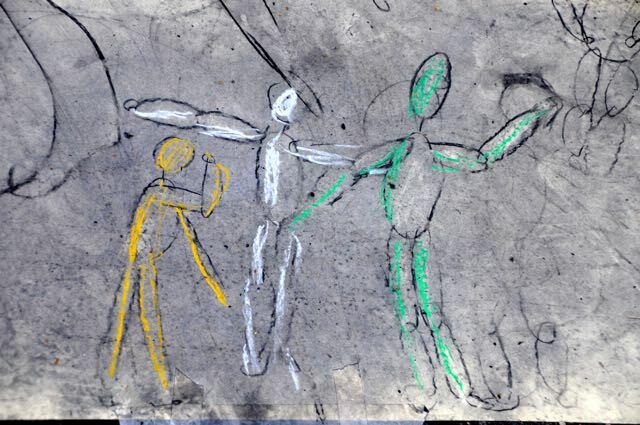 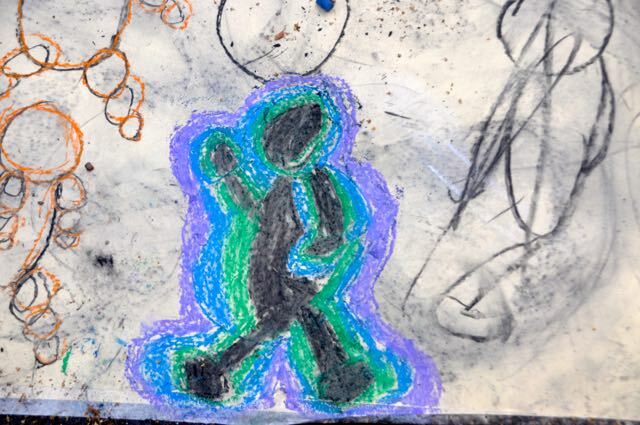 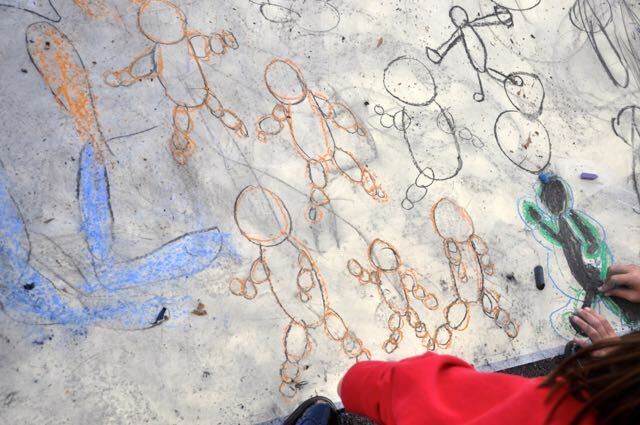 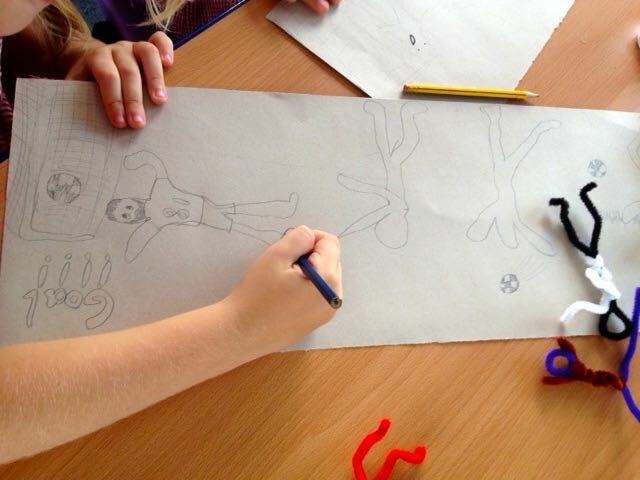 We then drew around the pipe cleaner figures as they moved across the page – a sequence of movements was created. 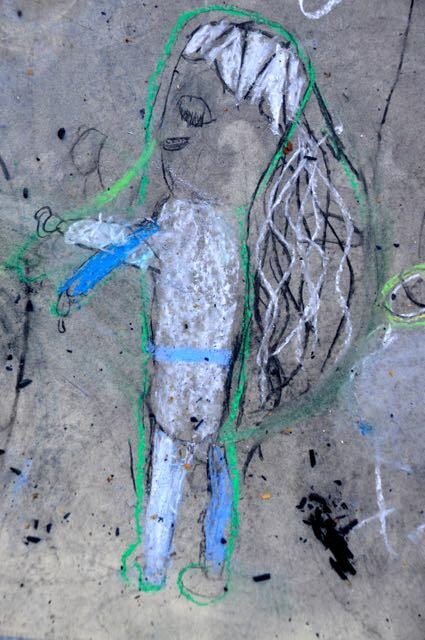 Short stories began to emerge, which we will develop next week.